Implants allow the patient to have the look and feel of a real tooth. If you have lost a tooth to decay or an accident, a dental implant is a great way to have a tooth that looks just like your natural ones. 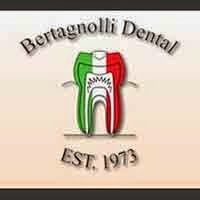 If you are looking for an implant dentist in Westminster, call the office of Bertagnolli Dental. We have a comprehensive list of restorative, general and cosmetic dental services to meet the needs of your entire family. If you are unfamiliar with implants, a dental implant is an artificial tooth root shaped like a screw and surgically placed into the jawbone to secure the tooth. When placed directly in the jawbone and anchored, the implant fuses with living bone making the tooth look and feel just like your own! In addition to being an implant dentist in Westminster, we also offer veneers, dentures, crowns, general check-ups/teeth cleaning, teeth whitening and sedation dentistry. There is something for everyone. When you are looking for an implant dentist in Westminster, don’t hesitate to call our office today.